Sign up for our newsletter and get our Financial Freedom E-Book! Some of the links in this post are from our sponsors. Read our disclosure to see how we make money. NPR recently surveyed 2,500 people about stress and found that almost half of them experienced a stressful event recently. Stressful events include things like health issues, a death in the family or problems with work. Stress affects many areas of our lives, including our physical and mental health. I notice that I’m less patient with people when I’m stressed and there are even physical consequences, like my face breaking out. Unfortunately, although most people experience some level of stress in their lives, not everyone is able to join an expensive gym or attend a hot yoga class to reduce it. 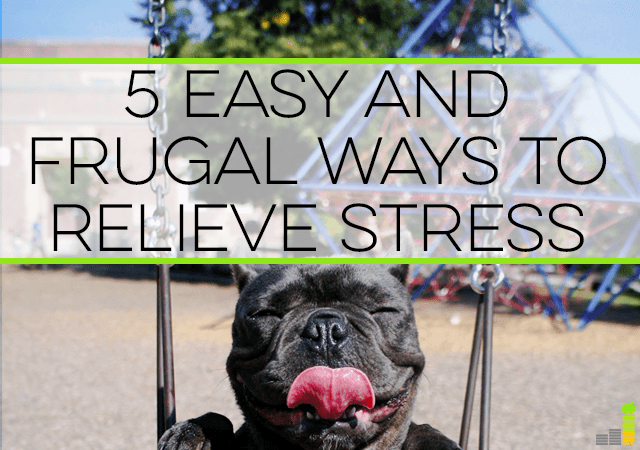 So, below I’ve rounded up five easy and frugal ways to relieve stress that anyone can benefit from. Many long time readers will know that I’m anti-TV. In fact, I’ve lived without a TV for several years now. TV might seem like a relaxing activity, but in reality it can create stress with the content on the TV (like violence) or instill a fear of missing out. Try and go a few evenings without it, and see if it helps you feel less stressed. If you’re wondering what you could do instead of watching TV, we’ve written before about some great, cheap or free activities that will easily make up for your lost screen time. If, on the other hand, you really do enjoy watching TV and it helps you relax but it’s the cost that stresses you out, there are alternatives to cable that can help you continue to enjoy TV as a form of entertainment without the high cost of overpriced cable and satellite subscriptions. 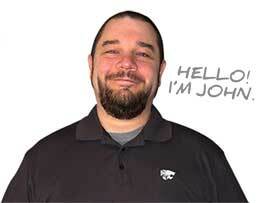 John wrote recently about canceling DirecTV and getting free network television with a Mohu Leaf digital antenna. It’s worth mentioning that with all of these ideas, the key to effectively relieving your stress is to find what works best for you. I find meditating to be very challenging. It’s hard for me to sit still and not worry, but I’ve heard it gets easier with time. A yoga instructor once told me that instead of trying to think of nothing while meditating, instead think of a clear, blue sky and any thoughts that come along are just clouds. I’ve tried this many times, but as you can imagine, my sky is very, very cloudy. Still, the Mayo Clinic recently wrote an article about meditation helping to reduce stress, so it’s worth a shot. Yoga is another great way to reduce stress and so is working out in general. Some people reduce stress by running or boxing while others love the quiet strength of yoga. Either way, getting in some exercise can help to get your mind off the things that are worrying you and instead channel that stress into something positive. Sometimes, the best way to de-stress is to talk it out with the people who are closest to you. So, call a friend or your spouse or a parent and tell them what’s on your mind. Sometimes people have a hard time being vulnerable and letting others know about the things in life that are upsetting them. However, sometimes opening up about your struggles and stresses can in itself be a stress reducer. Most nights I take a long bath. For some reason, it’s the most relaxing part of my day. Usually my kids are asleep and if I have a little extra time, I might drink a glass of wine or read a book. One day, I hope to have a beautiful bathroom that’s all updated and all my own but for now I have to battle all the toy dinosaurs in the tub for a little peace and quiet. Still, letting the stresses of the day melt away is an easy way for me to relax after a long day. Some people have the same result when they take a shower or go for a swim. There’s something about water that’s just soothing. Ultimately, it’s important to take care of yourself, and when you find yourself getting stressed, take the steps to try to relieve it. The world is full of stressors from work to traffic to strained relationships and other hardships. How we react to them is important and how we care for ourselves when we encounter those stressors is also worth considering. Remember, you don’t have to join an expensive gym or sign up for an exercise class to reduce stress. Sometimes, a walk around the neighborhood, a quiet yoga lesson in your living room, or a long, hot shower is all you need to change your mood and elevate your spirit. 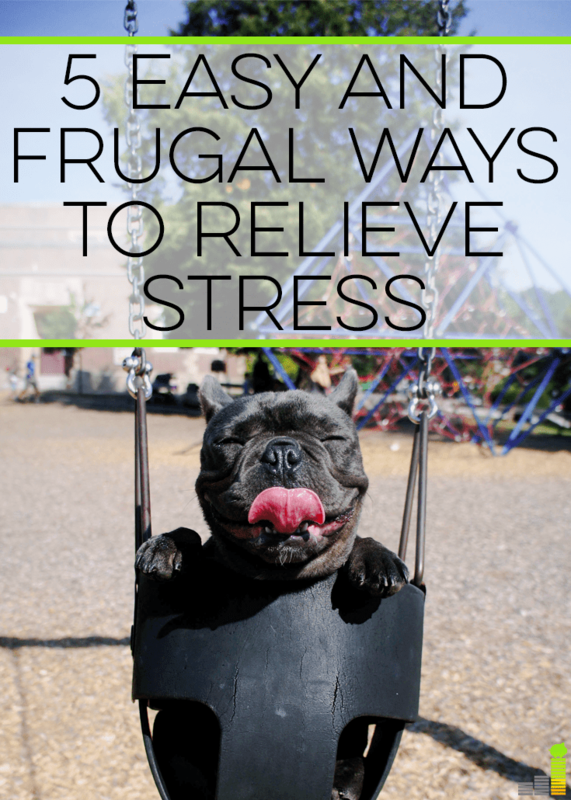 It doesn’t cost a fortune to relieve stress. It just takes a bit of initiative and a desire to feel calmer and more at peace with yourself and the world. What are some of the ways that you relieve stress in your life? Are you a former avid TV watcher who’s given up the tube for other activities? If so, what did you replace TV with? 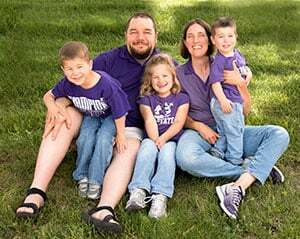 Catherine Alford is the go to personal finance expert for parents who want to better their finances and take on a more active financial role in their families. I slightly disagree with turning off the TV – I think it depends on what you watch to do it. One of the things that help me relieve stress is comedy, whether it is TV shows or stand-up. If you control what you watch, I think TV can be a good tool to use. I also try to meditate every morning before work to help get me ready for the day and start off as stress free as I can. To each his own for sure! Laughing is good for the soul! I love to read. I think reading beats every other frugal hobby especially if you use a library card. These days you can even rent e-books & audio books from the library without ever leaving your house. In fact I love to listen to audio books when I’m cleaning the house and drawing. I am a big fan of reading as well!! Reading or taking a walk are two great things that I like to do when feeling a bit overwhelmed. Yes I love reading. I want to do more of it this year. Good tip about the TV. I don’t own one either. I think taking a step away from any screen – computer, tablet, phone, etc. can relieve the stress that comes with always being consumed by technology. It’s true – there is so much screen time in our lives! I completely agree that a walk/run/hike can be incredibly peaceful and stress relieving. Yes! It’s awesome esp now that the weather is getting better. Those are some good ways to overcome stress. I need to start meditating more often. I eventually want to start practicing yoga. I like to crank up the music when I’m feeling stressed, or lose myself in an old movie. That’s awesome. I love to listen to music too! Easy and convenient ways to relieve stress that you mentioned above. So many more people are talking about Meditating…the more I hear the more interested I am to give it a try. Thank you for the post! Aside from doing yoga, playing with my dogs is one stress-relieving activity I do. This just gives me positive energy. In accordance with FTC guidelines, Frugal Rules would like to disclose that it has financial arrangements with some of the entities mentioned herein. Frugal Rules may be compensated if visitors choose to click on some of the links located throughout the content on this site. Frugal Rules is a participant in the Amazon Services LLC Associates Program, an affiliate advertising program designed to provide a means for sites to earn advertising fees by advertising and linking to Amazon.com.